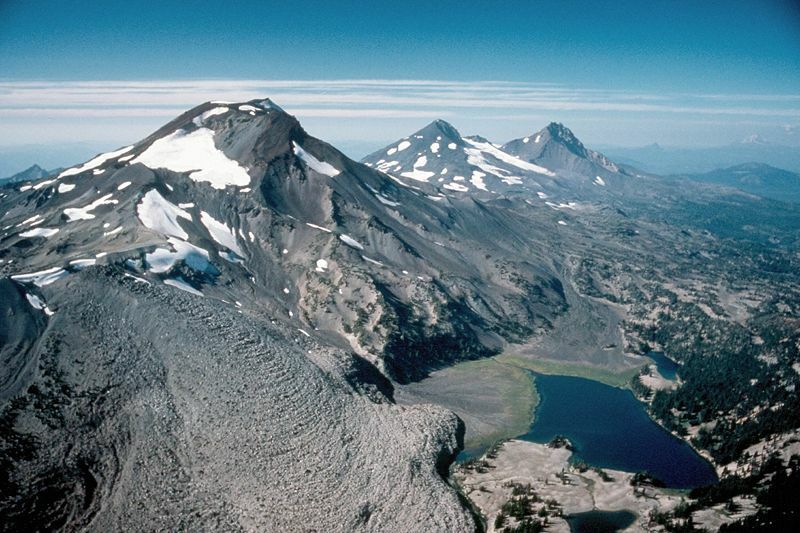 Aerial view, the Three Sisters volcanoes in Oregon, from the south looking north. 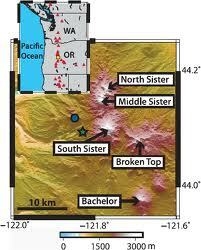 Left to right — South Sister, Middle Sister, and North Sister. USGS Photograph taken in September 1985 by Lyn Topinka.